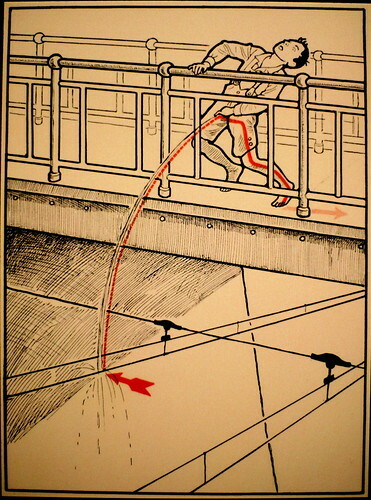 Bre Pettis posted an amazing photoset of old Austrian illustrations of how one might die by electrocution that he discovered last week while we were checking out the Technisches museum in Vienna. Also in the energy section of the museum was an interactive model of how to move radioactive objects around. Here’s Bre giving it a whirl. Bre knows how to handle unstable materials from ekai on Vimeo.